This world is a swirling torrent of troubled waters with apparently no way to master life. Even the formerly Christian Western nations are fast being swept over the edge into the raging waters below. Disaster stalks us, threatening to overtake us at every turn because we have forsaken the God of our Salvation. We have demanded to have things our own way, and - God help us - God has allowed us to have it. Even as we are pulled toward a dark destiny of our own choosing, God has not left us without hope. He has thrown out His Life Line. If we will but grab it, He will pull us to safety and again put our feet on solid ground allowing us to master life as He intended. Our civilization can once again shine as a warm, encouraging lighthouse until the brightness of day overtakes it. What is this way of mastering life, and how can it rescue a world wrapped in the icy waters of despair? And why is it that so many modern Christians thrash about hopelessly in the swift current rather than grab God's Life Line and work toward mastering life? God's way of mastering life is not a popular subject. What Jesus taught during His earthly time was not popular then, and it is no more popular today. Even among many Christians, God's way of mastering life is a much neglected, abused, - and yes - even hated subject. 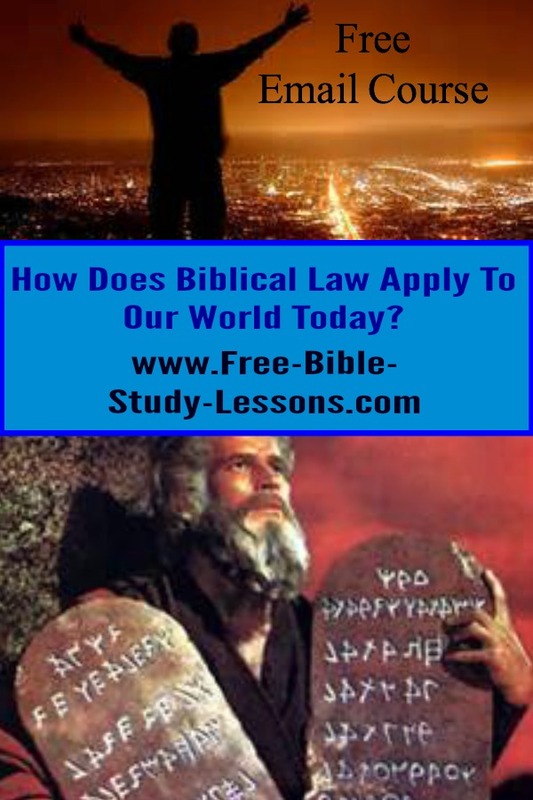 The life line God has thrown out for us to grasp is Biblical Law. The mere mention of God's Law sends shudders down the spines of many Christians. It is important at this point we recognize that when I say God's Law is our Life Line I do NOT mean it is our salvation [this is explained in much more detail in the course]. Salvation from sin and right standing before God is in Christ alone. Nevertheless, God's Law does have a VITAL part to play in mastering life and in rescuing the world from disaster. In this Master Life course we are going to examine what Biblical Law is, what it isn't, if it is still valid, what Jesus and the apostles taught about it, how it works with love and grace, and how it works in society. This is not going to be a detailed study of any particular law, but we will lay the foundation for a good basic understanding of the Law. Why is the Law God's way of mastering life? Isn't it hopelessly out-dated? Didn't Jesus and Paul condemn the Law? How could it work today anyhow? We are going to answer these and many other legitimate questions as we work our way through this Master Life course. Never be afraid to ask honest questions. We will search the Scriptures for the answers. For any answer to be believed and accepted, it must be supported by the Word of God in context. Sign up for this complete, free course now. 15 lessons delivered every 4 days right to your inbox [if you don't get a lesson check your junk mail folder]. Start today! Note: This course was formerly titled "Life Line" but has been updated with Feed Yourself Assignments.